Princess Posh (c) could tackle the season’s final stakes race in Brisbane, the Tatt’s Mile. In-form mare Princess Posh could be given a last chance for the season to win black-type in the Listed Tatt’s Mile at Doomben. Princess Posh made it two wins from her past three starts when she won at Doomben over 1350m two weeks ago. The mare has had one start at stakes level when she was a close-up sixth in the Group Three Tibbie at Newcastle last year. She was also a winner of a Provincial Championship heat in March before being eased out of the final at Randwick when her jockey wasn’t happy with her action. Since returning Princess Posh has been in strong form in fillies and mares Benchmark races in Sydney and Brisbane. Trainer Kris Lees Queensland representative Mel Eggleston said he would recommend Princess Posh run in Saturday’s Tatt’s Mile. 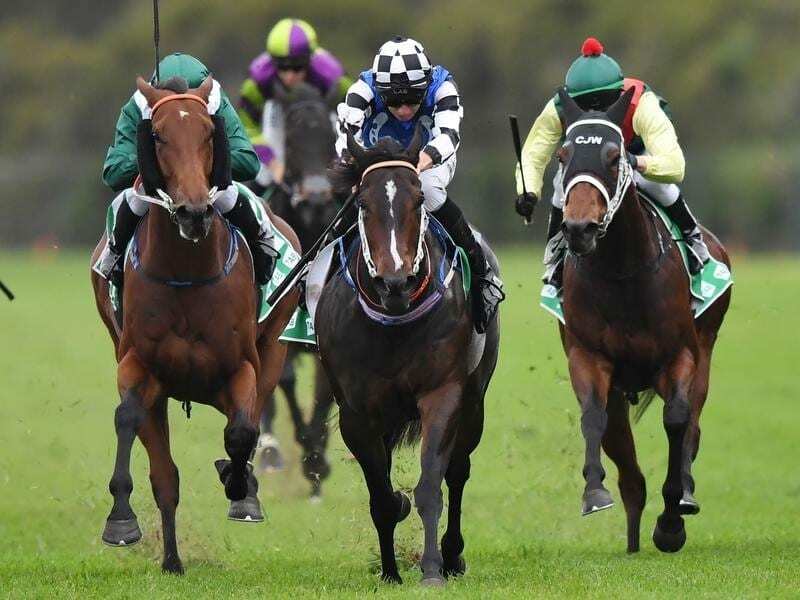 “It is the last stakes race of the season here and most of the best horses here have gone for a spell,” he said..
Princess Posh, who is raced by an Australian Bloodstock syndicate, has won six races and $300,000 prize money.